CBD Isolate is quickly becoming one of the hottest items on Kush Marketplace, but the market is remains unique. Pricing for CBD Isolate is extremely volatile. Within the span of a month, Kush has seen average prices drop from $7,000/kg to around $5,500/kg. With a market this unstable, it is vital to keep historical data about where these prices land each week. In an effort to bring education and liquidity to the market, Kush is tracking average sale prices of CBD isolate. This data is helping buyers and sellers understand the true value of the products being exchanged. One new feature that Kush Marketplace is excited to announce, is our Weekly Auctions. 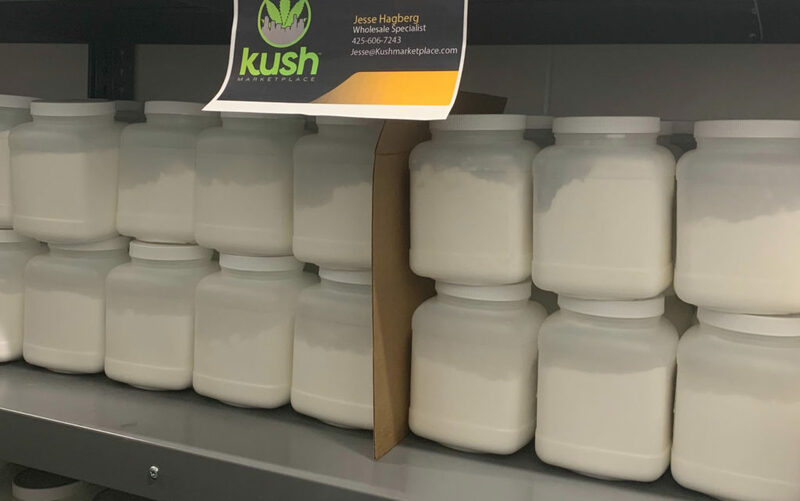 Starting TODAY, Kush Marketplace will be holding weekly CBD Isolate auctions. Our weekly auctions give you the opportunity to purchase 1,000 grams, or 1 kilogram, of 99.9% CBD Isolate. This CBD Isolate is supplied by one of the largest processors in the country. While the seller may wish to remain anonymous, rest assured that Kush has throughly vetted our supplier. Full compliance documentation will be provided with the processor’s name redacted. Auction begin each week at 8:00am PST Monday and conclude on Friday at 3:00pm PST. This is your chance to score an unbelievable discount on a high-quality product while the market stabilizes. To place a bid, head over to the Auction tab on Kush Marketplace’s Hemp page. Kush will have a staff member watching all bids and validating them as they come through. Any bids submitted after 5pm PST will be validated the following morning. Payment will be due immediately after the auction has ended. As soon as the auction concludes, the highest bidder will be charged and the product will be shipped out the following Monday. All bids are final once they have been validated by a Kush employee. This weekly auction is the first step of many to creating a commoditized CBD Isolate market. If everyone works together, there is no reason buying hemp should be any different than any other commoditized crop such as corn or wheat.